So let’s look at some interesting tips to stick to a smart budget that gives you complete visibility of your income, expenses, savings and investment at all times. Keep track of your entire family’s income, not just your salary; your essential expenses; your fun spends or “wants”; and your savings. Account for even your smallest of spends and expenses and objectively assess the health your financial situation in the short and long term. Then it’s time to trim down unnecessary expenses and wants so you achieve a healthy balance. There’s no need to make extreme cuts but it does help to see if you can make smart cuts. My favorite budgeting mantra is the 50-30-20 rule. This means that 50% of your income should go toward your essential expenses, including paying back debts, grocery, and other household expenses. Up to 30% can go in for your wants, outings, and other fun experiences. At least about 20% must go toward savings. The aim of good budgeting is to trim down your 50 and 30 and add to your 20. The world of credit cards and online shopping has simplified your shopping experience. However, it also exponentially increases the risk of overspending. Using plastic money or online transactions should come with the additional preventive measure of tracking these expenses. Limit the number of cards you possess – preferably one. This approach helps you control the use of this option in an uncontrolled manner. Although 30 percent of your income is budgeted for essential expenses including paying back loans, do not overburden this percentage of your budget. Plan your loans carefully so you are in a position to repay the loan. Do not go on an overdrive of loans that will completely mess up your budget plan. So take a step back and reassess your loan package and how efficiently you can pay back without affecting the rest of your budget. Our routine expenses often make it tough to keep our promise of keeping aside a specific percentage of our income as savings and investments. Hence, ensure that the moment your salary is credited into your account create automated alerts that will transfer the specific percentage to your investments and savings. So you will only have the remaining 80% left to spend for the month. 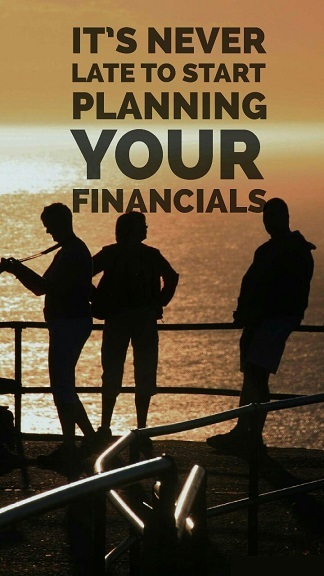 This will drastically increase your disciplined approach toward savings in your budgeting. A sudden hike in your electricity bill, an increase in petrol price, and a sudden increase in vegetable prices are all events that cannot be in your control. But there’s no way you can account for such sudden changes. Hence keep aside a small percentage of the 50% of income for such unforeseen expenses. If these expenses do not occur, you can always add the amount for your fun-filled 30% wants portion of the budget. Focus on the tax structure and how it will affect your budget. Work closely with your financial advisor to understand the nuances of your finances and plan your 20% savings from your budget such that you achieve maximum tax benefits. Getting serious about your budget plan can initially be a tough exercise, but with some stringent follow-up you can master the art of sticking to your budget and getting your financial journey in order. We understand that you will need help in deriving the perfect budget plan. That’s why you require the support of a robust financial advisory service. PrognoAdvisor is your trusted online financial planning service from India, with extensive expertise in understanding your specific financial and life goals and guiding you achieve these goals with confidence. Connect with our financial advisors at Prognoadvisor.com to understand how you can simplify the entire process of personal financial planning.